Within the past recent years, parents and police have been increasingly monitoring school buses and the drivers who ignore traffic laws. Disregarding these rules have led to injuries and even deaths. These laws are necessary to protect children and drivers because school buses are large, slow, have multiple blind spots, and are difficult to maneuver. 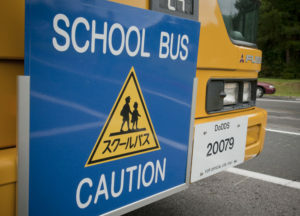 One school bus law is to stop whenever a school bus’s stop signs are out. This is an indication that children are either boarding or leaving the bus and therefore will be near the road. Drivers are required to stop behind the bus, even when the bus is pulled to the side or there is room to pass. It might be tempting to rush and go around a school bus, but you never know when a child might jump out of nowhere into the middle of the road. Unfortunately, drivers over the years have been ignoring these laws and often pass school buses. This had led to accidents that could have easily been avoided if the drivers had simply followed the law. Parents: Parents now often walk with or drive their children to bus stops. When parents see a violation, many also video-record it to show the authorities and bring awareness to other parents. Police: Police often park near school buses and school zones as a warning and to pull over drivers cutting off, driving around, and speeding near school buses when they clearly have stop signs out. The Media: News outlets have also picked up on these multiple infractions and often broadcast it. Occasionally, reporters will film right at the bus stops to show proof of drivers breaking the law. School Districts: Many school buses now have cameras installed to record traffic violations to show police and find ways to make school buses safer. No matter how much of a hurry you might be in, you should always follow your state and county’s road regulations not only to protect yourself, but also the people around you, other drivers, and passengers. If you are ever in a vehicle accident, you need a personal injury attorney. Contact us today for a free initial consultation: (716) 907-7777. Truck accidents have caused pile-ups on the highway as well as fatal accidents that would have been minor if it was a regular sedan. 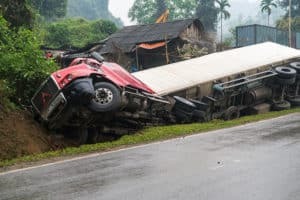 Trucks are much larger and heavier than regular cars, so when a truck accident takes place, it is likely that multiple people and vehicles will be involved. 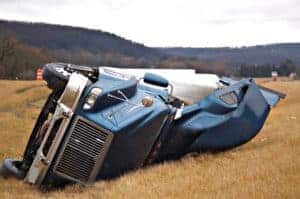 Due to the potential travesty that a truck accident can cause, additional expertise is required to operate one and truck drivers are required to be licensed to drive any kind of commercial truck. Taking all of this into consideration, it is understandable that truck drivers tend to be tired, stressed, and even depressed. Regardless of their state of mind, they are still required to meet their deadlines while driving responsibly with additional care and precision. While driving, Podcasts, Audiobooks, and new music are all good choices to stay awake and focused, presuming drivers can play audio without handling a phone as this could require taking their eyes off the road. If you are involved in a truck accident, you should always contact an attorney. You should not speak with an insurance company until you consult with an attorney because insurance companies may try to settle your claim for less than you deserve. If a family member passes away due to a trucking accident, you may also be able to recover in their place. If you are injured in a truck accident, our experienced attorneys at O’Brien can help you receive compensation for your injuries. Call us today at (716) 907-7777 for a free consultation and we can discuss your possible remedies. Truck accidents can oftentimes cause more damage that an accident involving two regular-sized vehicles. Trucks are larger, heavier, and more difficult to handle. While driving in or around such huge vehicles, drivers are required to take additional precautions and be even more careful as these accidents can be devastating. Truck drivers must obtain a special license to drive a commercial truck. This is because they have additional responsibilities for driving these vehicles. First of all, semi-truck drivers often have to meet deadlines which can lead to long hours on the road. Hours of driving on a highway can lead to boredom, distractions, and rushing to reach the destination on time. Truck drivers must keep in mind that their vehicle can be life-threatening the second their attention wanders or they start getting tired. The constant driving and watching out for other cars can lead to stress, alcohol or drug abuse, and other medical problems. Car drivers must keep in mind how difficult driving a truck is along with the stress, angst, and caution truck drivers must deal with on a daily basis. In fact, studies have shown that the majority of truck accidents have been caused by the car driver, as opposed to the truck driver. If you’re a car driver and you are driving near a truck, try to give them space, and if possible, avoid them. If you want to change lanes in front of one, remember that because of how heavy trucks are, it will be harder for them to brake, so make sure you are a safe distance away. Many trucks have signs that state how if you can’t see their mirrors, then they cannot see you. If you must drive behind a truck, ensure that the truck driver can see you by making sure that you can see his or her mirrors. Commercial truck drivers are required to properly maintain their trucks by completing safety checks before driving one to make sure that all the important functions are working properly. Checking the brakes, wheels, trailer hitch, and engine, are parts of the truck that should be checked. If any of those components would stop working, it could cause an accident and even a pile-up on the highway. Unpredicted and uncontrollable road conditions can also lead to a truck accident that could have been avoided in regular situations. 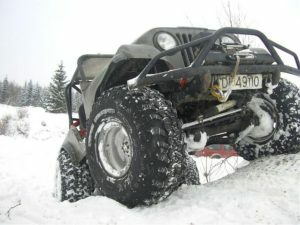 Weather, badly paved roads, and road rage and driving of other drivers can cause a driver to lose control of his truck. Weather: Driving a truck during snow or rain can lead to losing traction and control. Once a truck driver no longer has control of his or her truck, it can be clearly problematic. 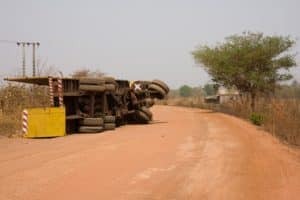 Badly Paved Roads: If roads are uneven or have potholes or objects on them, it could lead for the truck driver to lose control or swerve out of the way. Other Drivers’ Attitudes and Driving: As stated above, the majority of truck accidents are caused by other cars. Whether they are stuck in traffic, trying to rush somewhere, or are careless about how difficult it is to drive a semi-truck, avoid such a conflict by keeping calm and informed while driving. If you have been injured in a truck accident, you might be entitled to receive compensation for your injuries. Our attorneys at O’Brien Law Firm will gladly review your case during a free, no-obligation consultation. Call us at (716) 907-7777 as soon as you can. People who drive large commercial trucks for companies are required to obtain special commercial licenses and they must also be more vigilant while driving such massive motor vehicles. Large trucks have caused severe and fatal wrecks on the highway including pileups and freak accidents. Each state has its own requirements to obtain a commercial license, but regardless of the requirements, truck drivers are held to a higher standard because of how deadly these vehicles can be. Companies that hire truck drivers need to make sure that they hire suitable drivers because, with vicarious liability, they can be held liable if one of their drivers is the cause of an accident. Companies need to conduct background checks on their drivers and make sure that they have the correct commercial licenses, especially when driving through interstate traffic. If a company fails to act reasonably and negligently hires a poor driver, then an accident victim could not only sue the driver, but also the company that hired and provided a company truck to the driver. Staying up for excessive hours while staying alert can lead to losing sleep while remaining strained. If a driver falls asleep at the wheel or doses off for a few seconds, it could lead to a severe accident; so many drivers will drink multiple cups of coffee to stay awake and alert. This interferes with drivers’ sleep cycles and forces them to stay awake for many more hours at a time than normal. Driving alone on the road for many hours at a time can understandably become lonely. Trucks drivers will have to be away from their families and friends and spend a lot of time without human interaction. Driving a regular car on a day-to-day basis can be stressful as it is, but truck drivers have added stress as they have to handle such a large vehicle, as well as know that they had added pressure to remain even more attentive to smaller cars. Commercial truck drivers know that this is their livelihoods, and they cannot afford to make a silly mistake on the road, as that could cost them their jobs. Being on the highway and away from home to meet deadlines will inevitably lead to eating at restaurants that will serve a quick meal so that drivers can get back on the road. Eating at restaurants is clearly not as healthy as eating at home, especially if a driver will want a fast meal and opt for a fast food joint. 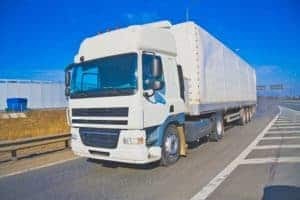 Although you cannot prevent driving on the road with another commercial truck around, there are ways that you can lessen your chances of an accident. If you see a truck, know that they have lowered visibility and cannot brake as quickly as a light-weight car. Try to stay away from their blind spots and be sure you have enough room when changing lanes in front of a truck. The best thing you can do is to be informed of the dangers of commercial trucks and be on high-alert when near one. If you or a close family member has been injured in a truck accident, O’Brien Law Firm can help. Contact our skilled attorneys today for a free, risk-free consultation to determine what your options are. Call (716) 907-7777 today so we can help you receive compensation. Hiring a professional moving company can sometimes cost thousands of dollars depending on the distance, number of belongings, and company prices. Renting a box truck to move everything yourself is not only more convenient than using a regular car but is also usually much less expensive. However, most companies only have valid license and age requirements, so inexperienced people can rent moving trucks without realizing the potential dangers. Moving trucks are much larger and heavier, making them harder to maneuver and guide than a regular car. Furthermore, because of the large box-size without windows, there are many more blind spots, so you can’t see behind yourself while driving in addition to lowered visibility. An inexperienced driver may not realize whether anything is wrong as well. For example, there have been cases where the back latch was not securely fastened, and items spilled out. This can cause severe accidents for other drivers on the road and could cause immense traffic jams. 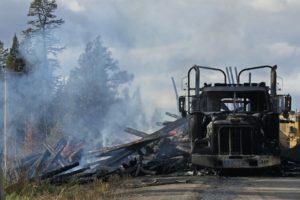 If a company allows someone without a valid license to rent one of their trucks, they could be held liable for injuries following an accident. Likewise, if a company rents to someone who has clearly been drinking or under the influence of drugs, they will not escape liability. 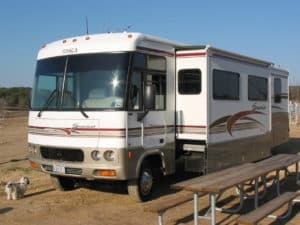 Furthermore, they are required to complete a safety check prior to renting to make sure that the latch, lights, and brakes are in proper working condition. Companies are required to upkeep and maintain their trucks. 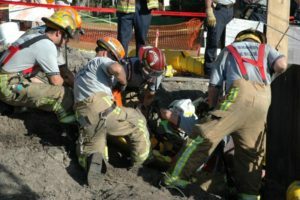 Proving that a company was negligent in the rental process or inspection could allow you to sue them following a wreck. On the other hand, the driver of the moving truck can also be liable. Just like driving a regular car, drivers must abide by the laws and drive safely. Inexperience and the fact that the rental company properly rented a truck to the driver, does not mean that the driver won’t be held liable for his own negligence or mishandling of driving a rental truck. Because moving trucks are much harder to drive than a regular car, you must be confident in your ability to drive one and take all the precautions listed above. Otherwise, you should thoroughly consider spending the extra money on professional movers to avoid an accident, injuries, and possible liability. 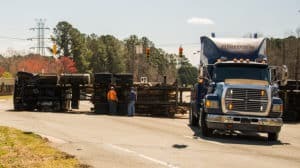 If you or a close family member has been involved in a moving truck accident, you should contact our skilled attorneys as soon as possible to see what we can do for you. We will be able to review and evaluate the unique facts of your case and let you know what your options are to pursue a suit. Call us at (716) 907-7777 today for a free consultation.